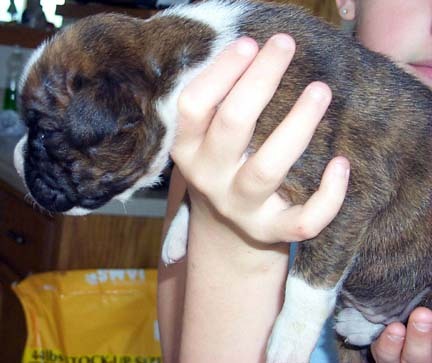 Shown below are the puppies on 6/18/02. There are 2 males and 2 females. 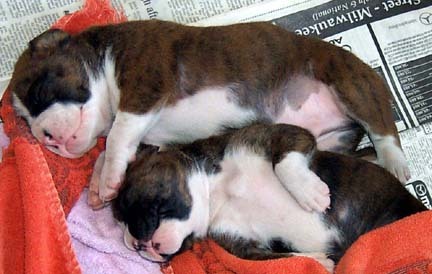 All pups are committed. Above picture is of Boy 1 and Girl 1. Above picture is of Boy 2 and Girl 2. 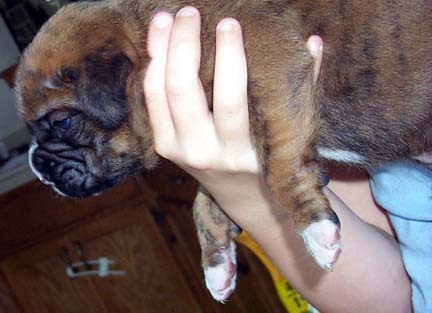 Female puppy shown above is Girl 1. Available to Show Home. 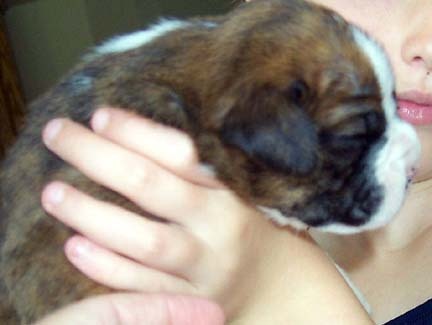 Female puppy shown above is Girl 2. Available to Pet Home. 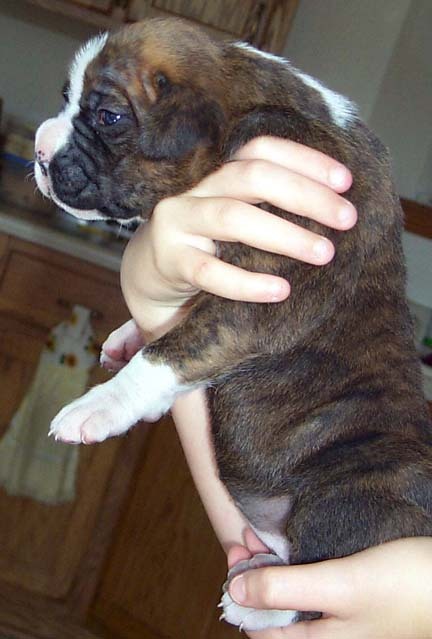 Male puppy shown above is Boy 1. Available to Show Home. 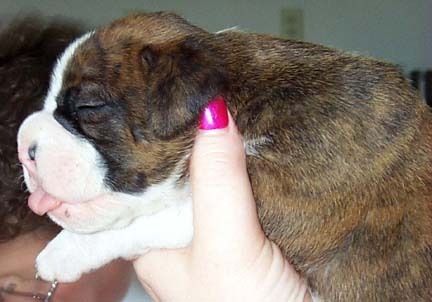 Male puppy shown above is Boy 2. Available to Pet Home. 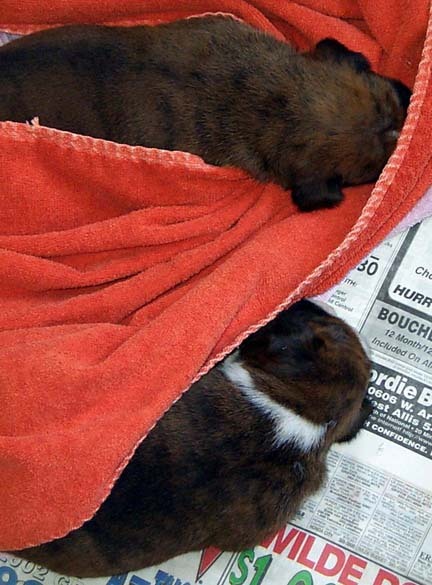 Interviews are being scheduled for the remaining puppies. Please email me for an appointment. 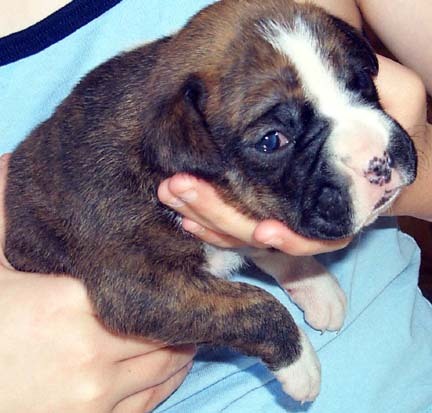 If a match is made between a family and a puppy, contracts will be signed and a puppy deposit (half of the total cost) will be due at that time. 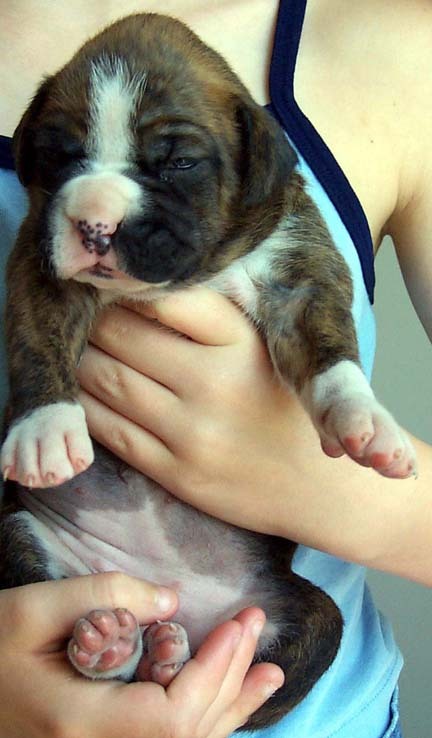 Please understand I cannot hold puppies without a signed contract and the deposit. 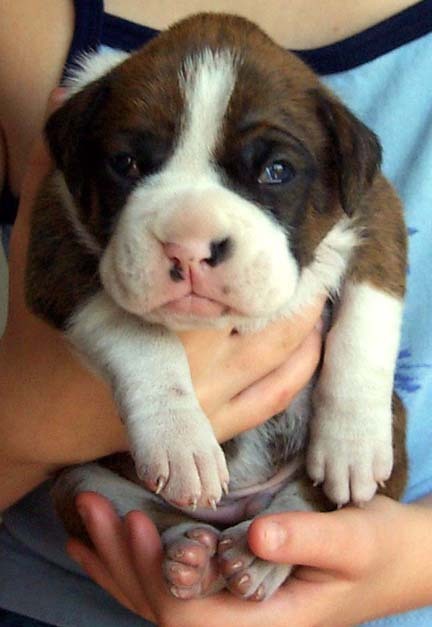 I receive approximately 5-10 emails/phone calls per day for these puppies. 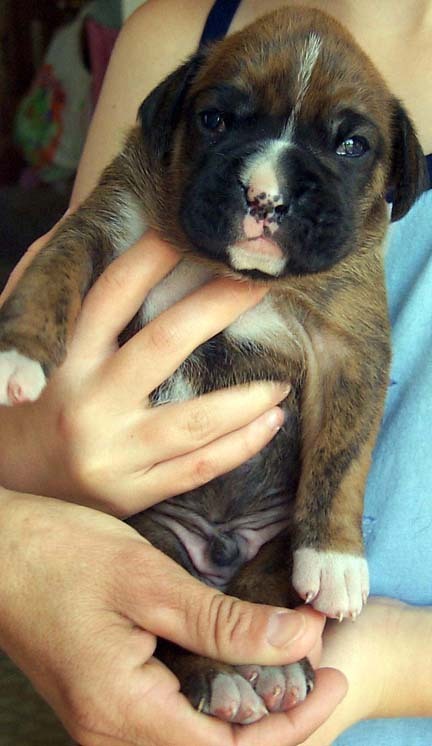 I do not want to give people false hopes that puppies are available when they are not. If I do not respond to your email immediately, please be patient. I work full time, train my dogs Wednesday night and teach a dog training class on Thursday night.